Faithful readers may recall that we already reviewed Peach Dish back in September. The Atlanta-based startup promised to make cooking at home easy, by delivering all the ingredients for a gourmet meal to your door. Just provide salt, pepper, and some labor and quality weeknight dining was less than an hour away. Unfortunately our first experience with PeachDish was marred by a missing baguette and a renegade cheese container that left a finely-grated mess all over the other ingredients. Now PeachDish has upped their game and wanted us to give them another try, so they provided us two more meals-ready-to-cook. PeachDish sent us chicken and wild rice soup with a cheesy ciabatta bread for one meal, and a spice-rubbed flat iron steak with roasted cauliflower for another. The timing was serendipitous as it coincided with our fridge going on the fritz, leaving us with a lack of fresh-food options at home. We kicked things off with the flat iron steak, roasted cauliflower and farro salad. The servings were a good size, not large but certainly filling when combined with the sides. 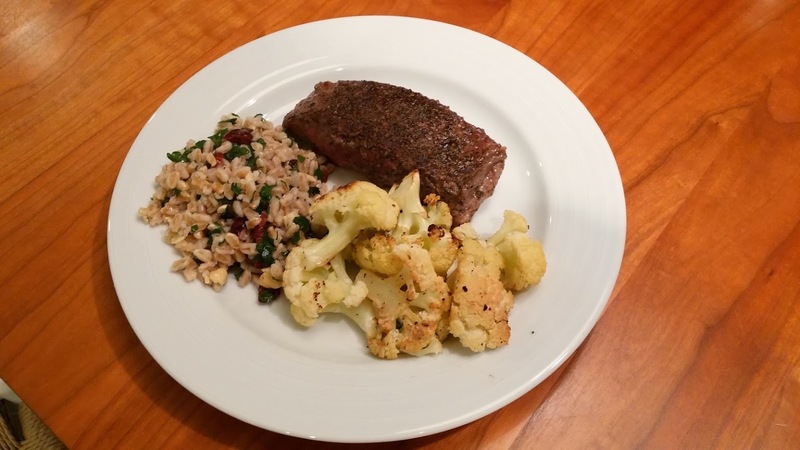 The roasted cauliflower was simple and a good pairing with the steak, and the farro salad, while a little under-seasoned, was accented with dried cranberries and cashews and rounded out the meal nicely. The provided dessert was "seasonal fruit," which in our case was two red apples and a grapefruit. While I've got nothing against breakfast-for-dinner, the grapefruit seemed a little out of place but given the size of the meal the healthy and light dessert was a good choice. Prepping for the chicken and wild rice soup. All the ingredients, except for the chicken, were nicely packaged in the silky-smooth bag seen on the upper left. 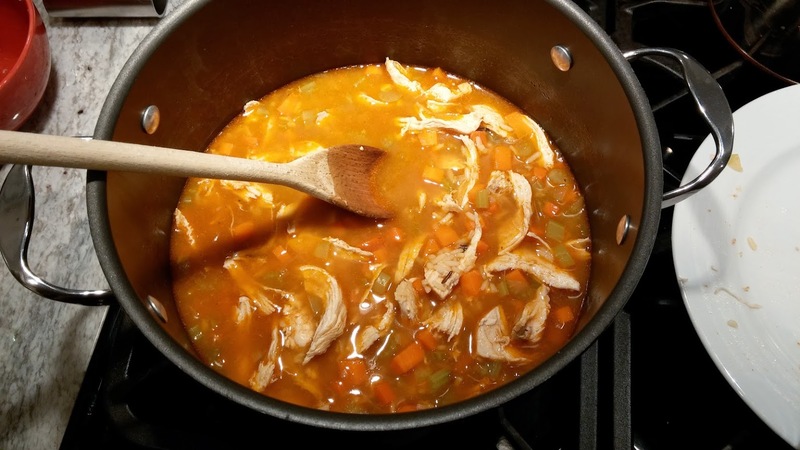 The following night we made the chicken and wild rice soup with cheesy ciabatta bread. When I see "chicken soup," I don't usually consider it a full meal, but I was pleasantly surprised how hearty this soup was. 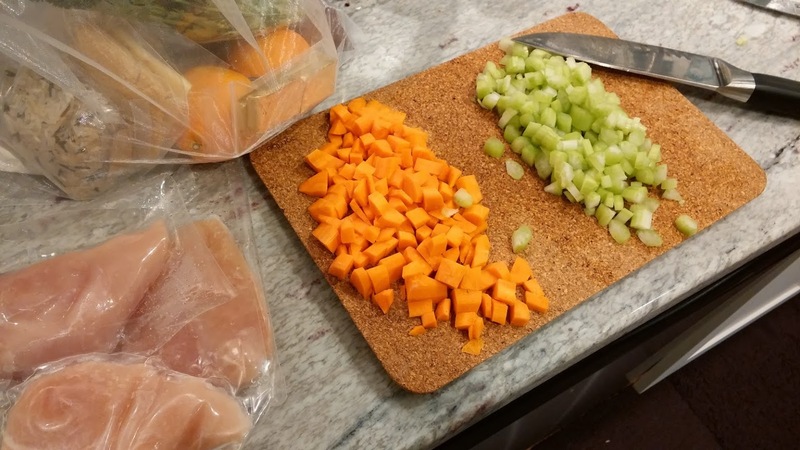 With two chicken breasts, carrots, celery and rice, there was enough soup that it served as lunch the next day! 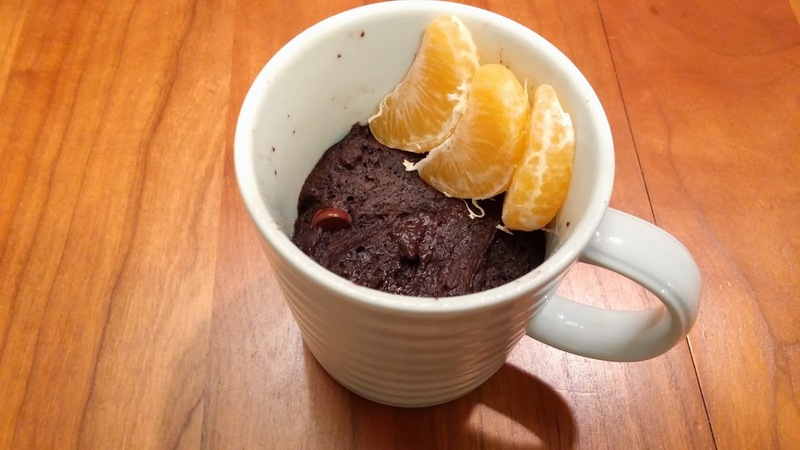 The cheesy ciabatta was a simply accompaniment, with melted pepper jack on top, and unlike the minimalist "fresh fruit" of the other meal, this meal included a taste chocolate mug cake and a clementine orange. Easy to mix and prepared in the microwave, the cake was a simple dessert that tasted like it look a lot longer to make than it did. Disclaimer - we added a scoop of vanilla ice cream to the mug and I would recommend you do the same if you have any on hand! Though our meals were provided to us gratis, they would typically run $50, including delivery. The meals are designed to feed two people, and are sold via a weekly subscription model, meaning they keep shipping you meals until you tell them otherwise. $50 strikes me as a reasonable price considering how convenient it is to have the ingredients collected, portioned, and delivered to your door. While it does require a small amount of effort, a PeachDish meal at $25/meal is a healthier alternative to ordering take-out and is way easier than menu planning, shopping, and cooking from scratch!